I really like enchiladas, especially with the verde sauce, but I never realized that Limi liked them too until last week when he asked for them. What a surprise! But a good one…. Well here is my version….Try them with Real Spanish Rice too! Boil chicken on high with salt, garlic, onion and cayenne, until fully cooked. Remove from water and shred with two forks. 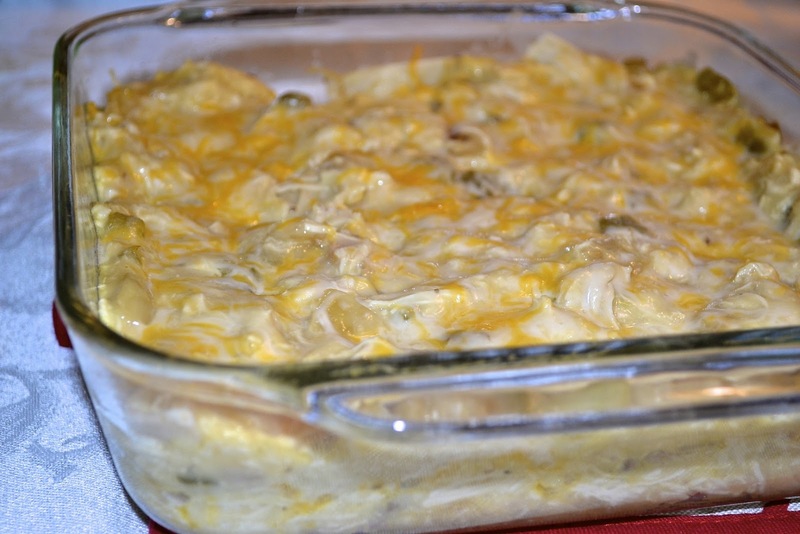 In a mixing bowl combine shredded chicken, 1 1/2 cups grated cheese (or just 1 cup if you are only using 2 cups total), sour cream and enchilada sauce (leaving about 1/4 cup remaining in can). Stir until mixed. Spray 9×13 pan with non stick baking spray. Cover bottom of pan lightly with enchilada sauce. Lay 6 corn tortillas in pan. Spread half of chicken mixture across the tortillas. Lay 6 more tortillas on top. Spread remaining chicken mixture. Cover with remaining 6 tortillas. Pour left-over enchilada sauce on top and spread evenly. Spread remaining cheese on top.